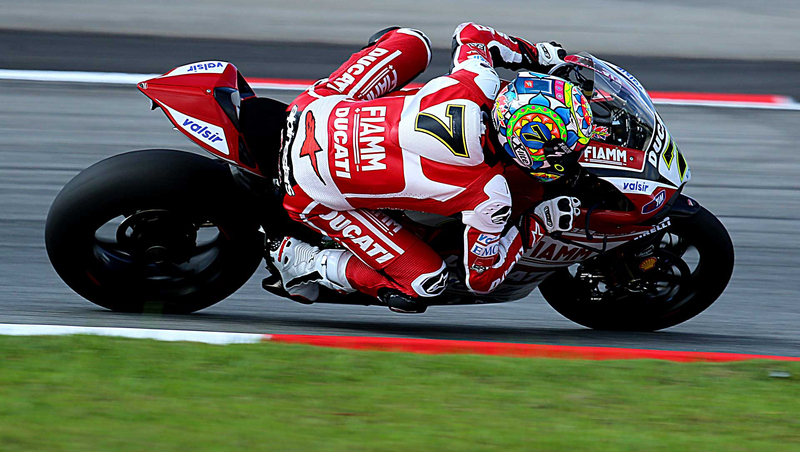 Motogear | WSBK, Magny Cours: ANOTHER double for Chaz Davies! In spite of the torrential rain fall and unaccommodating weather conditions (which often exacerbates the difficulty of the track), the Magny Cours (11th) round of World Super-bike brought an array of positive results for our Nolan riders! 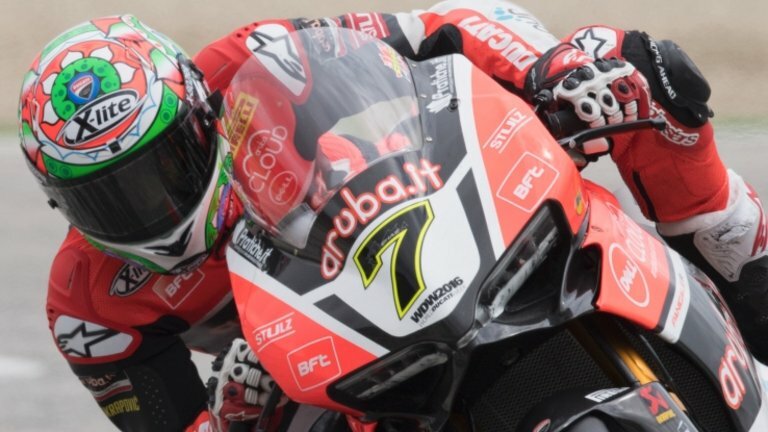 Firstly, there was brilliant fourth place for Axel Bassani in Superstock 1000, but the most exciting results came from Superbike: Chaz Davies (on his Ducati Aruba) has achieved yet another incredible double-win. The X-lite pilot swept up a podium win during race 1 and soared passed the finish line in first position (once again) in race 2- to secure his 7th win of the year. Davies still remains in the third spot in the overall standings with 86 points separating him from leader, Jonathan Rea. Davies wasn’t the only Nolan-Group rider to be honoured! There were also excellent placings for Leon Camier, Lorenzo Salvadori, and Xavi Fores, who are consistently very close to the top positions.